Add just a touch of gold leaf to a planter box for a glamorous touch in any room. 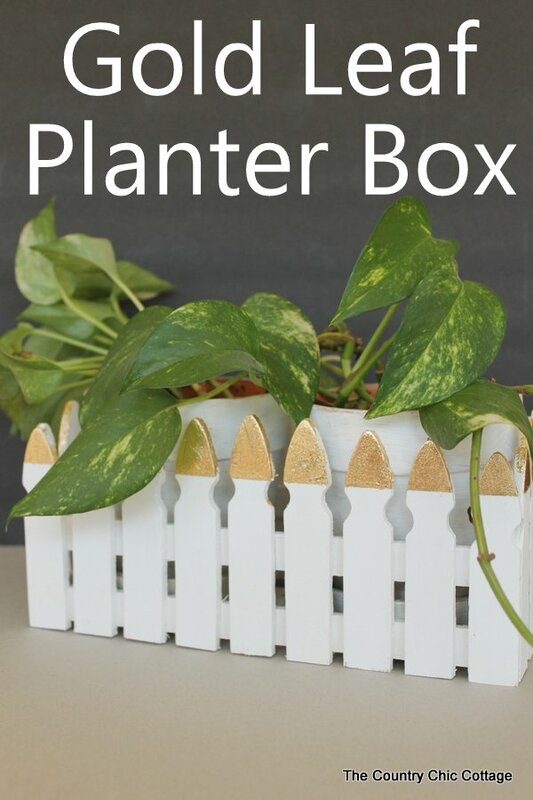 This little planter box is a picket fence but this same technique would work for any planter box around your home or even one you pick up from a thrift store. This post was originally posted over at Crafts Unleashed however I thought I would post it here in case you missed it. I am compensated as well as receive free product for my design team status with them however all projects and opinions are my own. 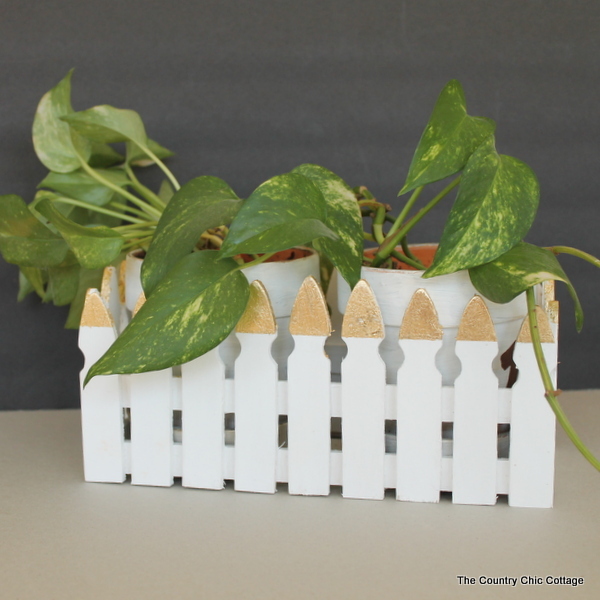 Paint the planter box white on the inside and out first if yours is raw wood. 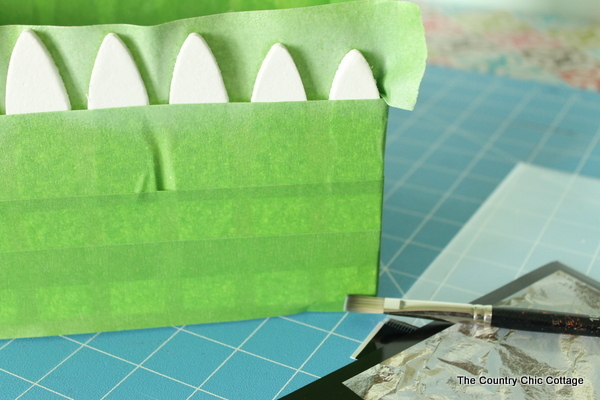 If you are using an existing box, just make sure the paint is in condition before continuing. My box took two coats and I allowed to dry completely between coats. 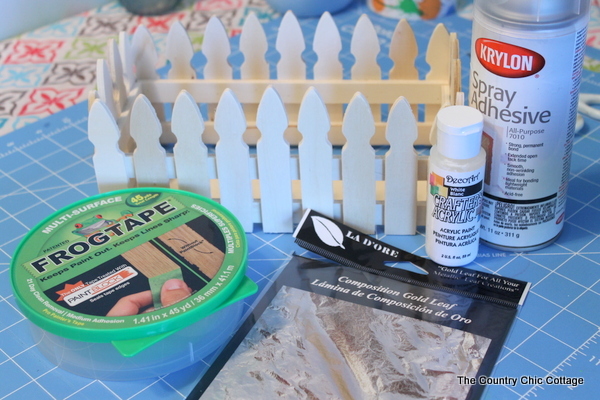 Once your fence planter box is completely dry, cover with painter’s tape as shown below. 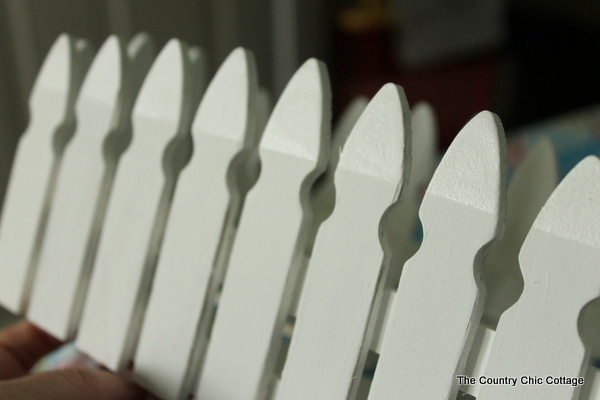 Be sure to also cover the back of the pickets so the spray adhesive does not get everywhere. You can gold leaf a small area or a large one just be sure to tape off well. 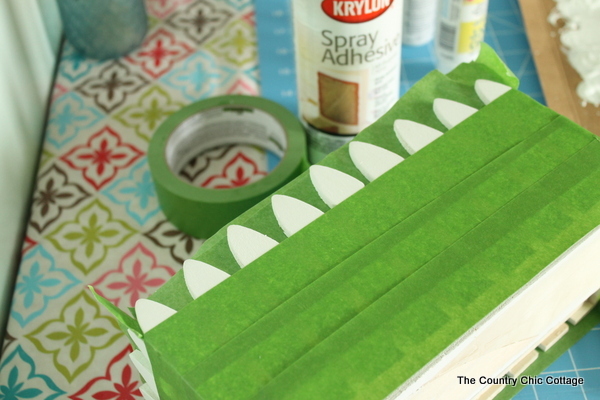 Take your box OUTSIDE and spray the exposed area with the spray adhesive. This stuff goes everywhere so it is important to do this step outdoors. This is also why it is so important to mask the box really well before spraying. 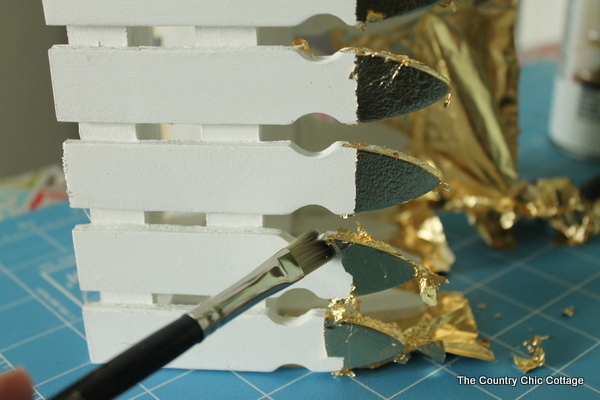 Carefully remove the gold leaf sheets from the package and apply to the adhesive. Use the tissue paper sheets provided with the gold leafing to hold and press the leaf into place. 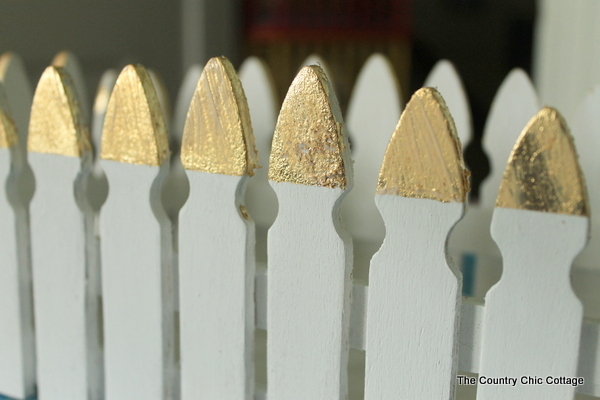 Once your brushing is complete, your fence planter box will look like a gold crowned rock star. But we need to seal and protect that gold leaf. Give the leafing a coat or two of Mod Podge Outdoor formula to keep it durable wherever you decide to use it. 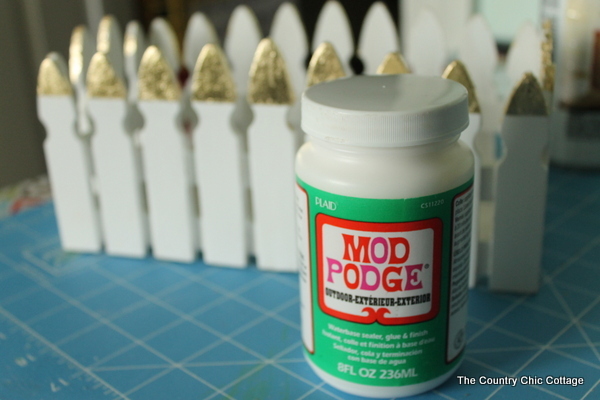 The Mod Podge will go on white but will dry clear and your gold leaf will still look amazing….trust me! Drop in your pots and plants once your project is completely dry. You will love this little touch of glam in your home. 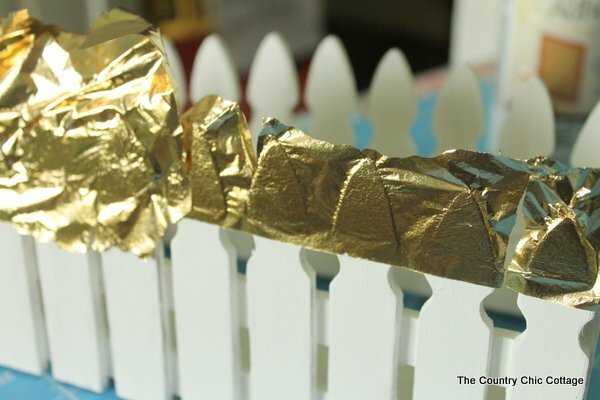 Use this method to make a gold leaf planter box of your own from any planter you have on hand. A little goes a long way with gold leaf y’all!